Right now these Family Mouse Personalized Ear Tees are $14.99 (Retail $25). 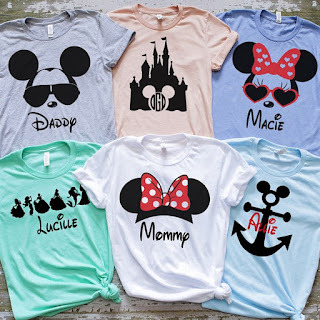 You will adore these Family Mouse Ear Tees! We are offering youth and adult but at this time we only carry the youth sizes in gray and white. $3.99 for the first item and $1.99 for each additional item. US only. Ships no later than Wed, May 16.